Today, April 1 marks our one year anniversary of living in Poland’s capital city! I woke up to slightly overcast skies, but warm temperatures in Warsaw. April 1, 2014, in Warsaw, Poland. April 1, 2013, in Warsaw, Poland. Luckily, Poland treated us kindly for our first winter. We had a fairly mild winter here in Warsaw with only below freezing temps in January (when I was walking every day to my Polish classes, of course). Comparatively, our families in the U.S. have experienced some of the worst winters in many years; and my in-laws had snow on the ground just last week outside of Philadelphia! 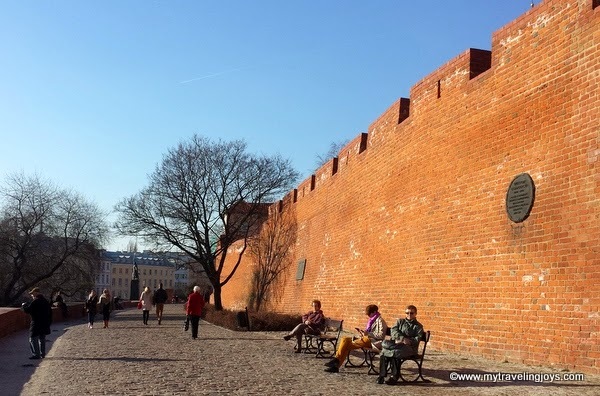 We’ve had to restrain ourselves from bragging about Poland’s weather! Meanwhile, our weather has been sunny, and the spring flowers are blooming everywhere in Warsaw. The city is full of life again! I cannot complain. Mild temperatures in March in Warsaw. I’ve started riding the nearly free rental bikes around the city again. On the weekends, we head to our favorite watering hole for a locally-brewed IPA beer or pop into a new place. We’re still exploring Warsaw’s many nook and crannies and constantly finding new restaurants. Last night, we popped into the new Delirium Pub that opened in Nowe Miasto in Warsaw. I continue to find beauty in the city’s pre-WWII abandoned brick buildings. To me, this is what makes the city intriguing. Forget the fancy, modern buildings and the ugly Communist-era blocks, I want to see the city’s history when I walk down the street. In the middle of the city, you can still find buildings like these! And I’ve been practicing my Polish. The other week I had an entire conversation with an animated taxi driver who’s been learning English. I understand more Polish than I can speak, but I am quite pleased with my new Polish skills. Polish is still by far the most difficult language I’ve ever tried learning! Being an expat forces you to get out of your comfort zone. Being an expat isn’t always easy, but I at least try to make the best of any situation. I’m thankful I didn’t spend the past year wrapped up in my comforter like I wanted to when we first arrived in Warsaw. 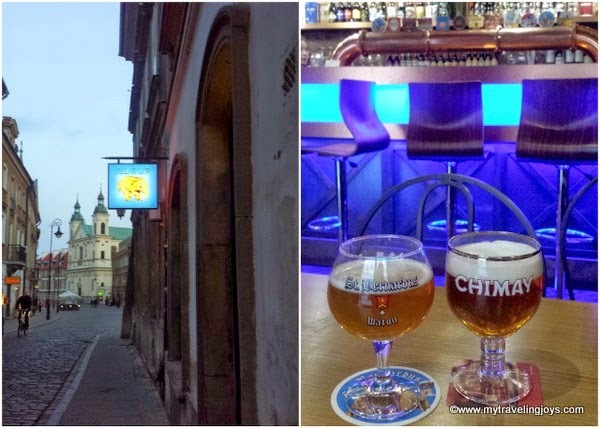 There’s still much I want to explore and discover in Poland’s capital city. I hope you’ll stay along for the ride! 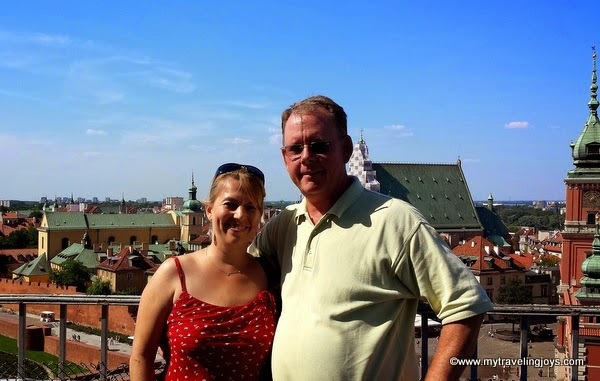 My father-in-law and me enjoying a sunny day in Warsaw in July 2013. I didn't know you were in Turkey. I was stationed at Incirlik for 15 months when I was in the Air Force. Loved Turkey and the Turks and the history. I didn't spend much time in Poland-just a short visit. In both places, I spent time visiting Arabian farms, all owned by the states (countries). Fantastic horses, some of the best and beautiful in the world. Hi today is our 6 month anniversary in Warsaw and I am still feeling incredibly new. It's great (and very inspirational) to hear how your doing after a year. Thank you for logging it all, I'm still very new to the blog scene! @Pam, thanks for stoppimg by! Yes, we lived in Istanbul for 3 years before we moved to Warsaw. I don't know anything about the horses you mentioned so that's interesting to hear! i am so glad you are liking poland. i am jealous you are learning the language. learning polish with rosetta stone just isn't going too well here! @Joyce, Tak, jest dobrze! :-) Polish is just a very difficult language to learn. That's all I can say. Practicing with Poles at the market has been helpful for me esp. Withy numbers! How is your husband finding the change of countries - Which one is easier to work in? Oh how the time passes! Yay for one year - it only gets better (I think)! 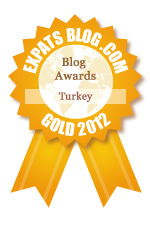 Yes, I'd say the first year is generally the most difficult as an expat. But it's also extremely difficult to leave too. Congratulations! I'm glad you don't cry anymore. There is so much to see in Poland and around. There are a few brilliant food magazines, good for practising Polish and just looking at them Usta (new one), Smak, Kukbuk. Thank you also for the great blog and magazine recommendations! I've really liked the covers of Kukbuk but was too scared to buy bc I still only speak a little Polish. Guess I should start somewhere! Yes, the magazines could be scary, but I would recommend to go to Empik and just look at photos :D Blogs would be better for learning, not only you can help yourself with online dictionaries, but recipes follow more standards. 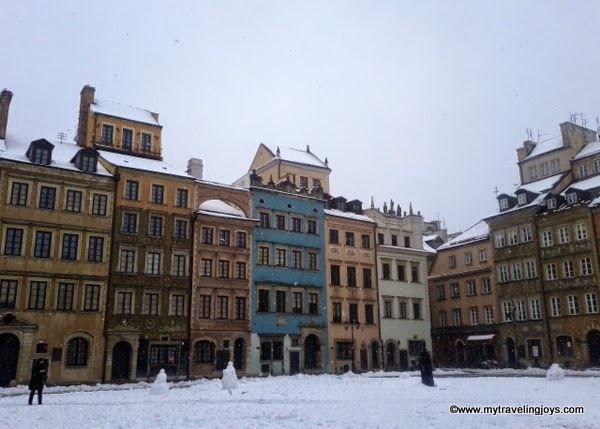 Just found your blog - I'm so glad to find some Warsaw tips. We will be living in the city for two months, from the end of May through the end of July. Someone told. Me that there is an organic farmer's market in the city. Do you know anything about it? Yes there is! The BioBazar is held on Wednesdays and Saturdays in an old factory building in Centrum area. It's great! But during the summer months, farmers bring in their own produce esp. berries and set up stands on street corners. These berries are amazing and fresh from the farm! If we are talking about blueberries they are not even from farm, they are from woods, so they are totally organic. A lot of Polish producers would be organic even though they wouldn't have certificate. Do take them, it's lovely. Czorsztyn is nice. It's in Pieniny mountains, they are very pretty especially in the autumn. Nice blog. I am considering a move to Warsaw to teach English. I'm currently in Vietnam. No doubt it'll be a change!